Why are Sport and Physical Activity important and what does it add to the BB programme? In almost every BB setting, games, recreation, play, sport – promoting activity and exercise takes many different guises. But why are these key to many BB programmes and have we considered how effectively they are delivered and what additional benefits they offer? Graham Cossar and Shabaz Khan, recently appointed Sports Development Officers in Glasgow Battalion, share their expertise and offer tips to help you see the wider impact of physical activity in the BB programme. 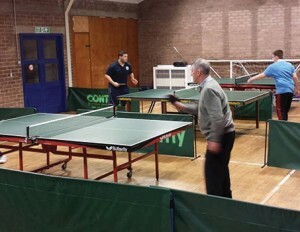 Graham and Shabaz are running a range of initiatives in Glasgow, including young sports leaders’ programme and also weekly drop-in sessions with a weekly Table Tennis Club being run. The team has also been going along to Companies and running sessions. Physical activity is important for a number of reasons. That importance can be specific to the individual, the team or the whole group. The individual physical activity, putting aside the obvious health benefits, is important to children, as it can set their moral compass. It challenges them to become competitive, but sporting; to become team players as individuals; to have a goal, but have fun, and to push themselves, but not lose themselves within a competition. Here’s a straightforward example which can help with a range of needs in developing a child’s performance both individually and in a group. It teaches the fundamental skills of throwing and catching and allows the children to learn the skills in a fun way before using them in team games like basketball rugby or netball. Additional skills needed are communication with other participants and teamwork throughout. two hands up in front of face, with thumbs close making a “w” shape in front. Two hands on the ball, moving with an underarm throw, hands following out in direction of the throw after release. 1. Catcher moving around making people freeze when they tig them. The players tug should stand with their hands in their w grip preparing for a catch. The greatest barrier to sports participation for young people is usually the limited opportunities that they are provided with. Therefore, it is important that each Company and Battalion encourages volunteer Leaders to promote sport as often and in as many ways as they can, so that our young people truly feel the benefit. The five Ps: Proper Preparation Prevents Poor Performance. Planning an activity or event makes the session run more smoothly for you and your young people. Make sure you have all the equipment you need set up ready and that you have a good understanding of the game/sport. Regardless of your facilities or the sport make sure your environment is safe for your young people to be working in; clear hazards, set rules and risk assess at the start and throughout. Keeping everyone involved and active will lead to a better, more enjoyable session for everyone; make sure you set up prior to a session starting, avoid long explanations and avoid sitting people out - the more the young people get to do the happier they are. Young people participate for enjoyment and will only continue to participate and come back if they have had fun. If part of your session is going well don’t be afraid to extend it, alternatively if something isn’t working, be brave enough to stop and change it. It’s your session, take the lead, deliver with confidence but remember ultimately it’s your young people that will tell you if it was a success or not! So consider how you can develop sport and physical activity further in your Company… perhaps it is about ensuring that all members of the group feel comfortable participating in an activity, and look at ways of developing skills and confidence. So for example you could decide that you need to spend more time developing specific skills like throwing and catching before starting to play a game like basketball or rugby.